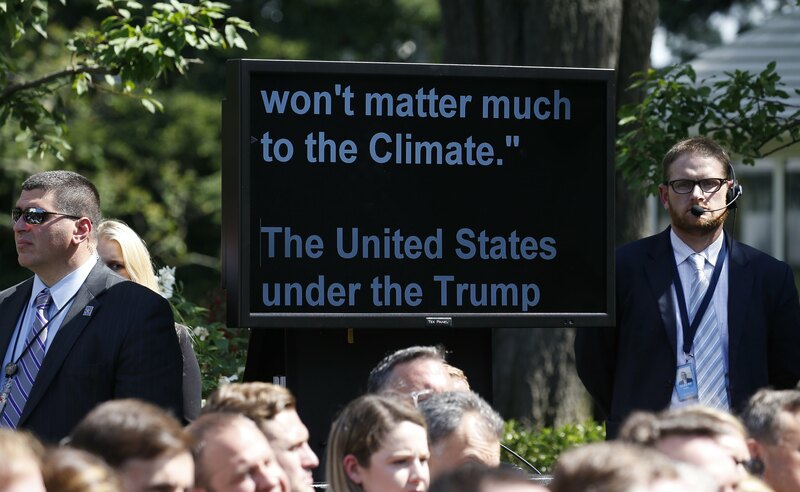 President Donald Trump said on Thursday he would withdraw the United States from the landmark 2015 global agreement to fight climate change, a move that fulfilled a major campaign pledge but drew condemnation from U.S. allies and business leaders. International leaders including the Pope had pressed Trump not follow through on an election campaign promise to abandon the accord, and they lamented his decision. Fiji’s Prime Minister Frank Bainimarama, who is the incoming head of the U.N. 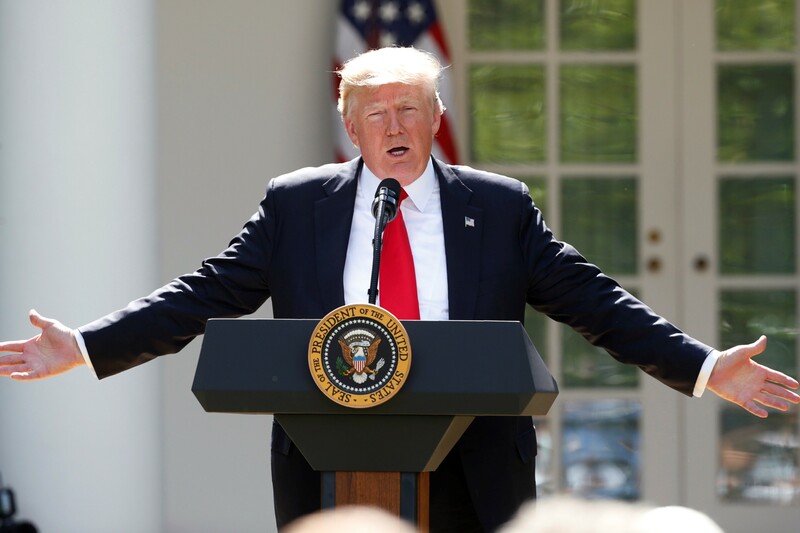 Climate Change Conferences, which formalised the 2015 Paris accord, said Trump’s decision was “deeply disappointing”. Fiji, like many other small island nations, is seen as particularly vulnerable to global warming and a possible rise in ocean levels as a result of melting polar ice. French President Emmanuel Macron on Thursday categorically ruled out any renegotiation of the Paris climate accord and said U.S. President Donald Trump’s decision to withdraw would harm American interests and citizens. “I tell you firmly tonight: We will not renegotiate a less ambitious accord. There is no way,” said Macron, who took office less than a month ago. Macron’s message was particularly tough compared with comments after meeting Trump at the Group of Seven summit in Sicily last week, where he had hoped Trump’s pragmatism would lead him to stick to the deal. 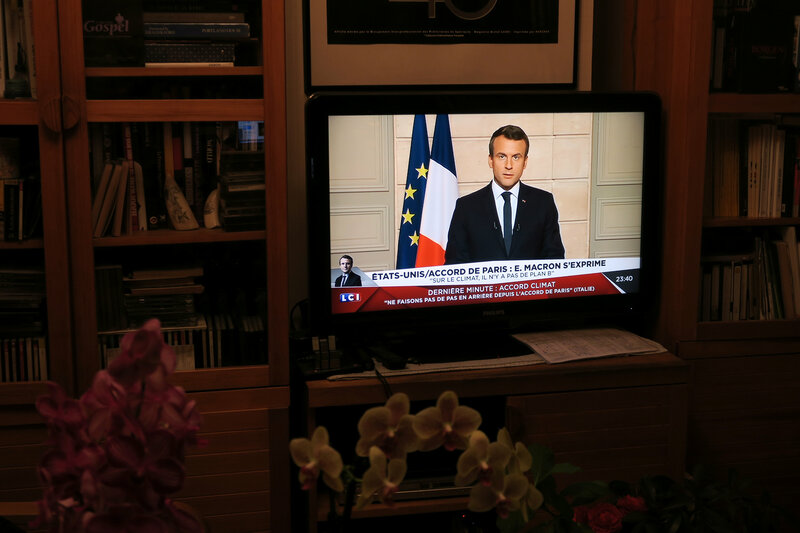 “France believes in you (the U.S.), the world believes in you, but don’t be mistaken on climate; there is no plan B because there is no planet B,” Macron said. Macron called on U.S. researchers and scientists disappointed by Trump’s decision to come to work in France to fight climate change. “France will put forward a concrete action plan to increase its attractiveness for researchers and companies in the ecological transition sector and will take initiatives notably in Europe and Africa on this subject,” Macron said. Macron said that he had asked his government to immediately begin work on the issue. “Tonight the United States has turned its back on the world, but France will not turn its back on Americans,” he said. Energy industry analysts said the U.S. withdrawal would result in closer cooperation between the European Union and China, potentially at the cost of jobs in the United States. “We are going to see closer cooperation between China and the European Union in accelerating the energy transition into a low-carbon economy. The U.S. withdrawal of the Paris accord will offer an unprecedented opportunity for China… to ascend in leading global climate affairs,” said Frank Yu of energy consultancy Wood Mackenzie.